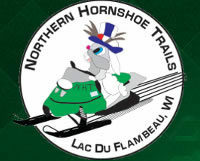 Come ride with us on the Greatest trails in the Northwoods! Our trails connect to Price County, Iron County and Oneida County with a direct route into the Lake of the Torches Resort/Casino. When riding please respect private property and stay on marked trails. Happy trails to you! Keith Weber, President.